Weighing the ethics of any situation may seem like something better left to those with more experience under their belts than we New Pros. Questions of ethics are the tough questions. But being an ethical professional isn’t magically bestowed on PR pros once they have a certain amount of experience. That would be nice, right? 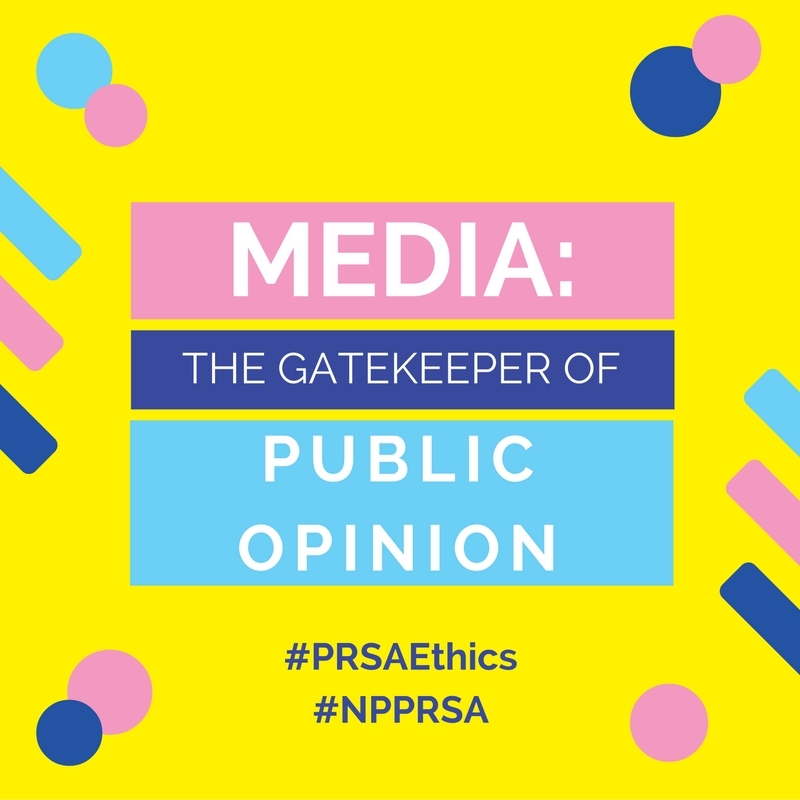 As PR professionals, the closest thing we have to an ethics fairy godmother is PRSA’s Board of Ethics and Professional Standards, or BEPS. BEPS is responsible for developing PRSA’s Code of Ethics and counseling professionals through ethical dilemmas and practices. 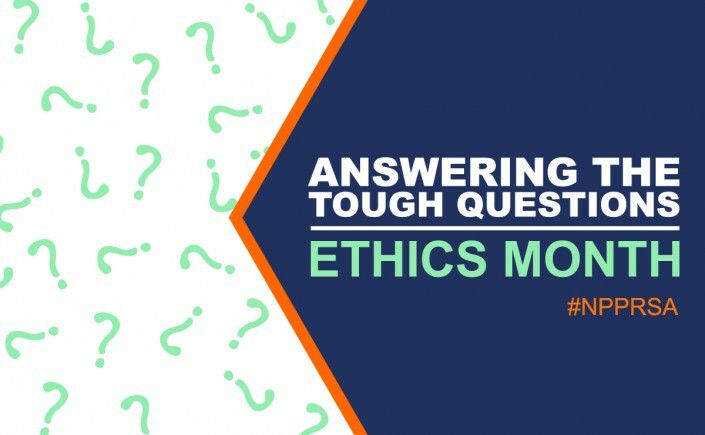 Since an ethical professional can’t be born overnight, New Pros has teamed up with BEPS to answer any and all ethics-related questions to celebrate Ethics Month. Throughout the month of September, we’ll be collecting questions from New Pros via this form. BEPS will answer each question and we’ll share the answers in a blog post and across our social media between Sept. 25 and Sept. 30. Have a question, but prefer to remain anonymous? No worries! Just select that option on the form before you submit your question. Ethics… it’s just a matter of right and wrong, correct? Yes, but there are layers to being an ethical professional. Remember when PR was deemed the profession of spin? We’ve come a long way since then and in today’s media landscape, where everything is picked apart and scrutinized, we must remain trustworthy. When covering ethics in public relations, there is a lot of mention of keeping the line of communication between the public and company, client and/or brand transparent, as well as legal. It’s a no brainer that public opinion is important but we must remember the gatekeeper, the middle man, better known as the media. Building trust between practitioner and the media is just as important because essentially, they are telling the public your story. One of PRSA’s core codes of conduct is the free flow of accurate and truthful information. That means building honest relationships with journalists, even if they become a close friend along the way. As ethical PR practitioners, we must play fair and keep an even working relationship between all members of the media. Yes, we should tailor each message depending on the interest of the publication and beat, but that doesn’t mean sending over confidential, inside information to a journalist just because you two are friends. As a PR professional, it is our primary job to communicate and disseminate information to the public. We are a resource and must be complete, accurate and timely at all times. Don’t be that PR person to hit up a journalist months before or after a issue is being printed with “new news” on the topic. They don’t care, you’ve missed your chance, and you’ve broken a tad bit of trust by wasting their time. We must remember that day to day, we work with a variety of people, companies, and industries that may not work in the same manner. Keep a trustworthy relationship with all stakeholders by meeting deadlines, responding to emails and phone calls, and fulfilling the duty of being a resource. Trust comes with respect. If your primary connection with a person is based on press coverage, it is less likely they will come to you when they need a quote from an industry leader. How would you feel if a journalist clearly makes it known they primarily work with you because your company offers cool freebies or perks, you’d feel a little used. Don’t continuously send press releases and pitches without any other dialogue. Set time aside to really get to know the journalist and what they like, beyond their beat. Sometimes, working relationships are forced but to build solid relationships with the media remain open, transparent, and friendly. The Golden Rule simply states, “Do unto others as you would like them to do to you.” How would you feel if you were on deadline and someone didn’t give you critical information needed? What would you think if you gave a journalist cool information on a new campaign, and they left out the hook that made the story interesting? Ethical public relations can be much simpler if we keep the Golden Rule in the back of our minds. Treat your client, the media, and the public with respect by practicing public relations with the highest ethical principles. 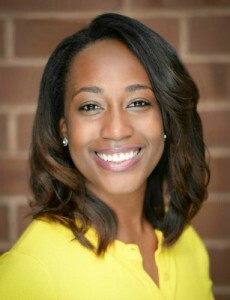 Jasmine L. Kent, a member of PRSA-LA, is a fan of all things food and beverage, pop culture, and media. Combining all three passions, Jasmine builds community through engaging online marketing and dynamic events as an integrated communications professional in Los Angeles, CA. Keep up with her on Twitter and Instagram at @LoveJasPR or visit LoveJasPR.com. 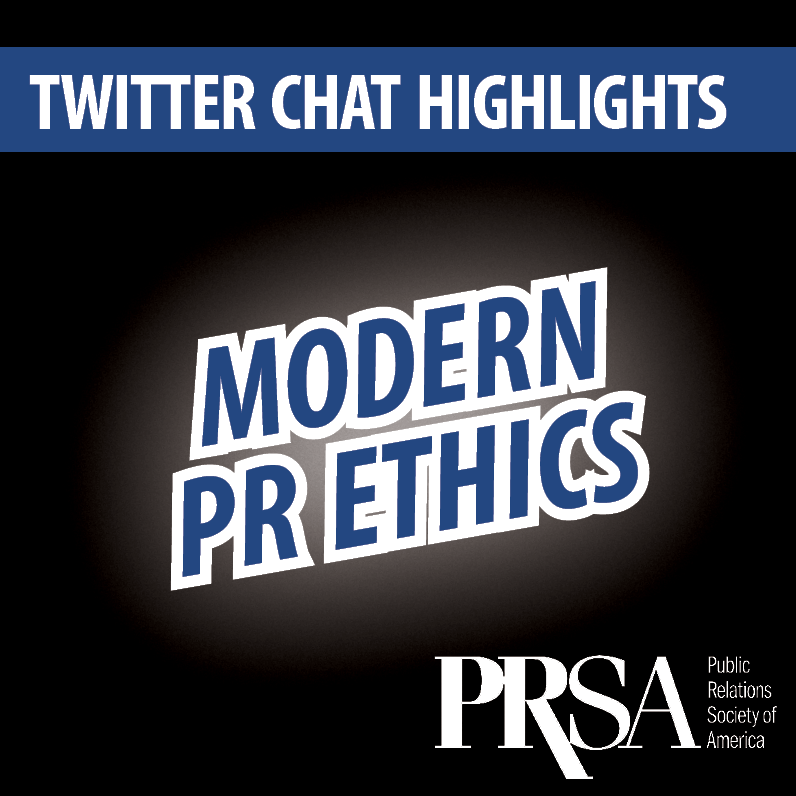 We’d like to thank everyone who participated in the September #NPPRSA Twitter chat as part of PRSA’s Ethics Month. Specifically, we’d like to thank special guest for the month, PRSA’s Board of Ethics and Professional Standards [BEPS]. Join us again on October 10 at 9 p.m. EST for the next #NPPRSA Twitter chat. Review highlights of the chat below. What did you learn from the September chat? How do you make sure your brand is remaining ethical despite the addition of paid placements in social and digital media? How do you confront situations where ethical values may be at risk? Lauren Rosenbaum is the public relations director at BrickPixel, a web design and marketing consultancy. She is the co-founder of Soversity, a public relations and digital marketing company. Rosenbaum is also one of the volunteer coordinators for PRSA Houston Chapter’s PR Day 2013. You can connect with her on Google+, LinkedIn and Twitter. Corporate social responsibility is not just a buzzword. CSR is a function in which public relations professionals can and should take center stage. However, to bring an organization success in this area, it’s important to first understand why the industry’s emphasis on CSR will only continue to grow. 1. Millennials are changing the game. As consumer segments go, the millennial generation (to which most of us new professionals belong) is both massive and powerful in the marketplace. As a whole, we are passionate and globally aware. We care about things like sustainability and the environment. Driven by our “citizen of the world” ethos, we champion humanitarian causes and labor to give a voice to the powerless. We are activists and change agents. We oppose gimmicks, wince at blatant materialism and see through marketing fluff. We look past what a product will do for us and ask who made it, how they made it and how it worked its way through the supply chain and into our hands. We want the organizations we support to have a heart and a conscience. What this means for brands and organizations is that CSR is not some theoretical “guiding principle” hung in a boardroom. These millennial values are actually forcing companies to revisit their business models and CSR assumptions, and the smartest organizations will let social responsibility revolutionize and dictate the way they do things. 2. Social media is ubiquitous – and it’s making everything else ubiquitous too. With LinkedIn replacing rolodexes and Twitter affirming the 24-hour news cycle, social media has broken through boundaries that historically had been untouched. Facebook, Foursquare and other platforms have fully transformed society’s view of privacy. As a result, the public now expects to be intimately involved in everything from acquaintances’ personal affairs to the business decisions of companies they like. In healthcare, the parties who fund research grants demand to see the medical discoveries and solutions made possible through their support. In nonprofits, donors want proof that their contributions are enabling good things, preventing bad things or making some sort of societal difference. In big business, investors need assurance that their company is acting ethically and will not become the next ENRON. In the midst of all this, an organization must be able to represent itself honestly and openly, knowing that it can’t afford to withhold information – especially from the parties with whom it shares a symbiotic relationship. It must be conversational and flexible. The worst offense is to appear to be concealing something; you may as well put out a call for public scrutiny, assumptions and attacks. This greater call for transparency means that CSR must be fully integrated into an organization. It cannot merely be a morale program that a company decides to roll out. It has to be the organization’s lifeblood. One striking thing about the recent presidential election was that so many citizens who couldn’t even articulate their views on political issues could tell you what they didn’t like about a candidate – and that was inconsistency. A common complaint about both major candidates was a lack of consistency and trust in their message. It’s interesting to note how closely this aligns with the need for any organization to have discernible values and a consistent voice, from its investor meetings to its employee communications to its marketing. Consumers want to know what beliefs an organization upholds, and they want to know that the organization can be counted on to deliver on those values. Companies can’t postpone CSR anymore—with greater demands for accountability and transparency, organizations need to find ways to make CSR an integral part of their overall mission. Why do you think social responsibility is such a crucial function? How do you think PR supports an organization’s overall CSR strategy? Keri Cook works with Hill+Knowlton Strategies’ consumer marketing practice in New York. She graduated from Liberty University with a bachelor’s degree in communication studies and writes on topics ranging from media relations and marketing trends, to corporate strategy and crisis communications. 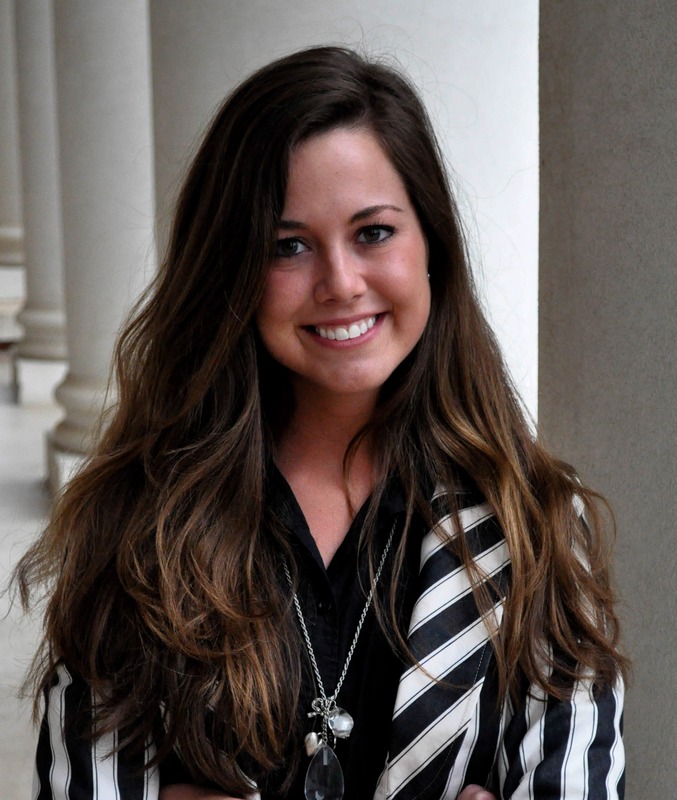 While completing her undergrad, Cook was named PRWeek’s 2012 Student of the Year. 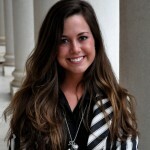 She is also a member of the PRSA New Professionals Section.